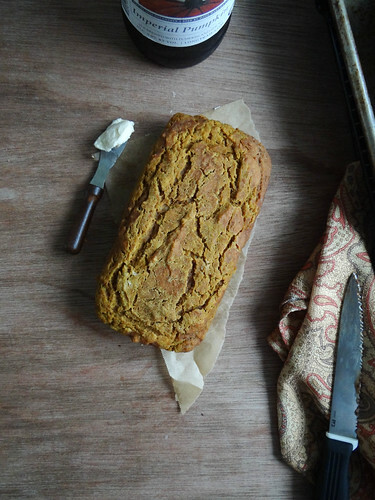 This recipe is super simple, I would consider any quick bread to be an excellent starting point when first learning to bake from scratch - mix, pour and bake, as easy as 1,2,3. 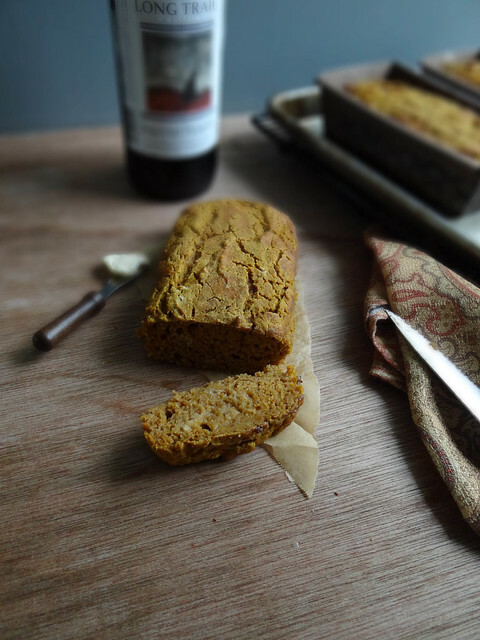 Often we pair our quick breads with soup or chili, this is the time of year Justin and I crave all things warm and hearty- this pumpkin beer bread fits right in. I have been making this bread for the past couple of months, any beer can be used, the type of beer used will change the flavor of the bread slightly. The darker the beer the more robust & deep tasting your bread will be. 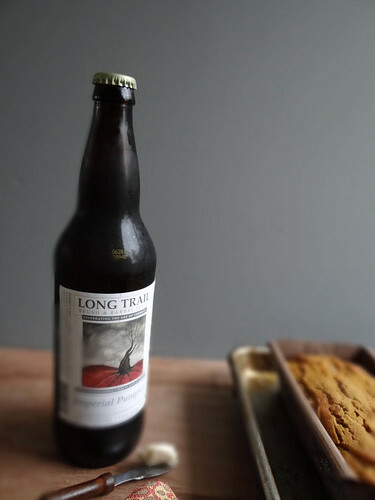 A lighter beer allows the flavors of the cinnamon and pumpkin to really shine through. 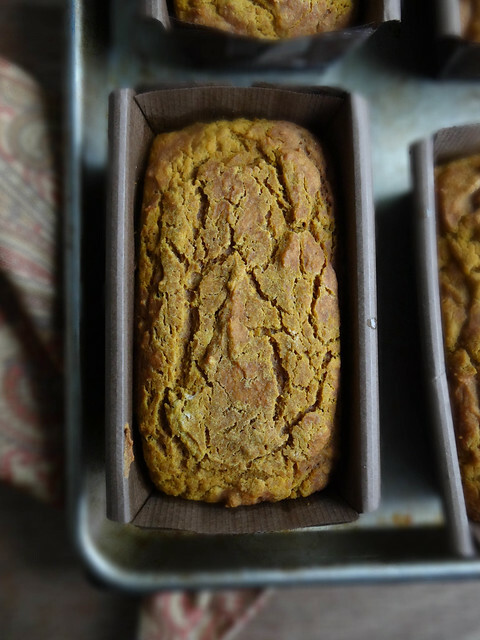 You can either bake these in a full size loaf tin or mini loaf tins. I prefer the latter, simply because Justin and I do not need to eat our weight in beer bread within 2 days. Making the mini loaves allows us to enjoy the bread the day it is baked and freeze a few for later. The bread freezes really well and reheats easily. 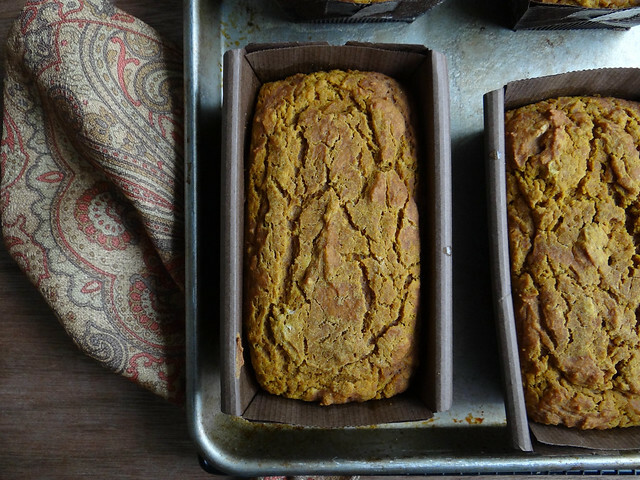 When did you dive into the world of homemade baked goods? 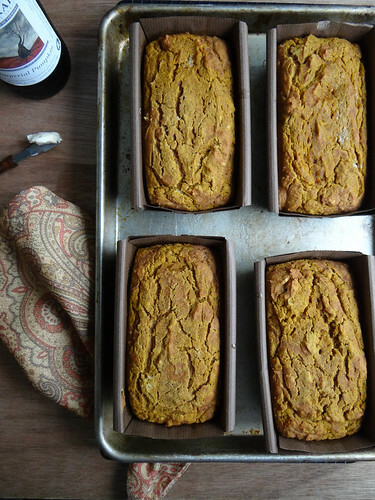 Are you a fan of beer bread? If you have an alternative to beer in the recipe feel free to mention it in the comments! 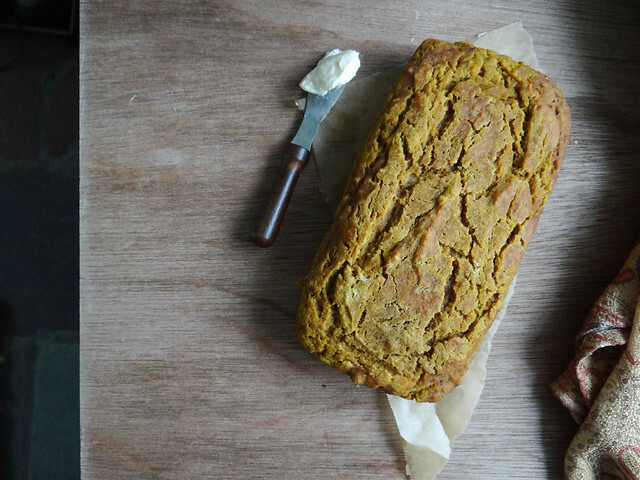 Grease your loaf tin(s) with vegan butter or spray. In a large mixing bowl combine flours though baking soda (you can choose to sift, but it is not necessary). Add Pumpkin and Beer to the flour and mix until all the flour is well moistened- do not over mix, it is okay if your batter is lumpy. Pour the batter in your prepared pan(s), drizzle the melted vegan butter over the batter. Bake in a pre heated oven for 50-60 minutes for a large loaf tin or 20-35 minutes for the smaller loaves. Test the center of the loaf with a skewer, when the skewer pulls out clean or with a few moist crumbs your bread is done. Cool for about 10 minutes prior to slicing. 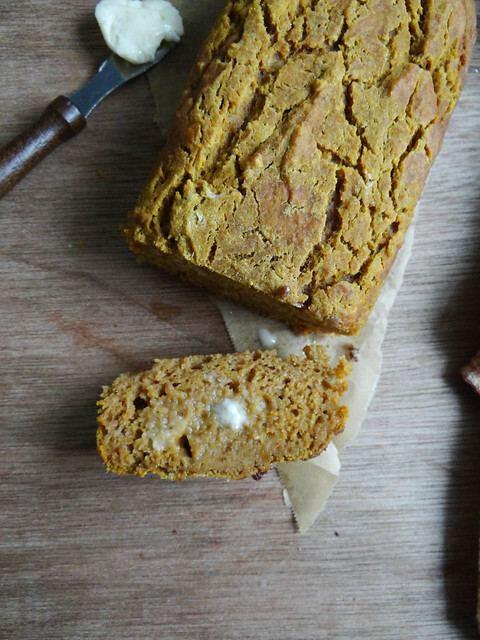 i've never had beer bread! 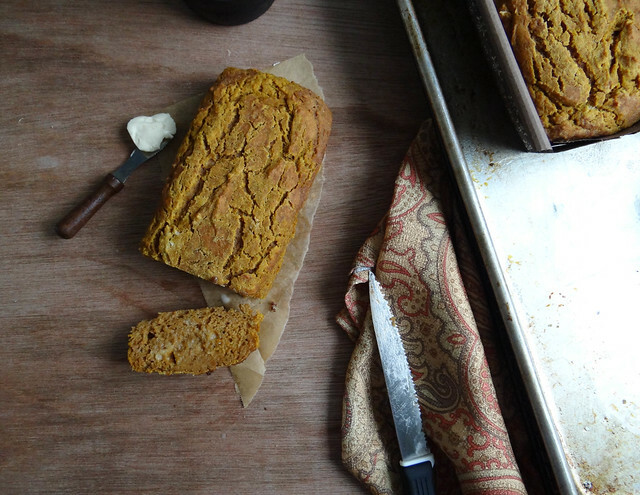 this bread has the most beautiful color- it is perfect for fall! It is a pretty color isn't :) Can't wait to see your Halloween pics! I think Sprecher Winter Brew with its "sweet caramel malts" or New Glarus Winter Warmer with its "roasted toffee notes" might work well in your recipe...? Thanks for sharing it! Me too - I used to love making breads, cookies and cinnamon rolls for the Jiff quick baking mixes :) oooo those sound like good brews for this bread! Beer and pumpkin? Wonderful job! I freaking love beer bread... and I've only ever made it from a mix! WTH is wrong with me?? Especially since, other than spelt flour, I have that entire ingredient list at home in my pantry! What is POW salt though? Forgot the link to POW Salt! http://sundaymorningbananapancakes.blogspot.com/2013/04/diy-kitchen-series-flavored-salts.html ....I thought the same thing, Why did it take me this long to make my own beer bread! You should have hubbs make it for you with light beer! how many ounces should the pumpkin puree be? Sorry about that - 15oz, I have updated the recipe. 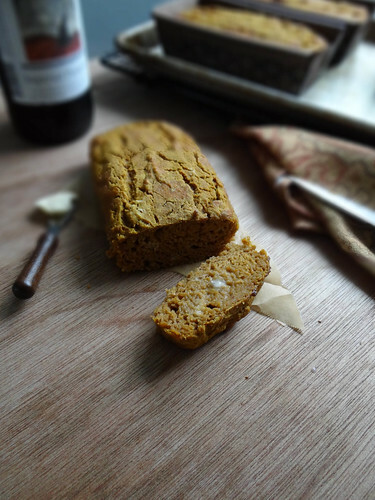 I've never tried beer bread before, but pumpkin beer bread is actually on my list of things that I want to make, and I think I might try it this week! Loaves tend to be the most difficult baked good for me to get right...I find it hard to tell when its cooked properly so they end up underbaked or too dry. Hopefully I'll have better luck with my next loaf!